ExxonMobil’s position in the South American country of Guyana spans 11.5 million acres, inclusive of the 6.6 million acres Stabroek Block where more than 3.2 billion barrels of oil have already been found. 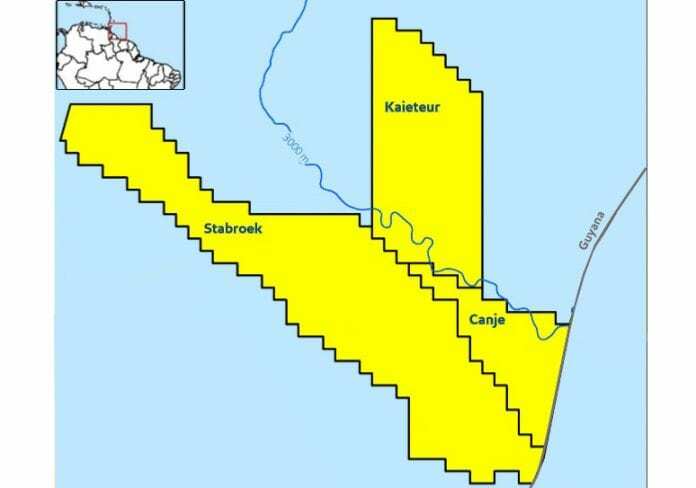 The company says this is “equivalent to approximately 2,000 Gulf of Mexico lease blocks” and along with multiple discoveries made off the Guyana coast, provides significant growth potential in the South American country. Since announcing its first world-class discovery in Guyana back in 2015, ExxonMobil, with the exception of the Skipjack-1 well drilled in September 2016, has found oil in every other reservoir explored, the last one being Pacora where 65 feet (20 meters) of high-quality, oil-bearing sandstone was encountered. Since then the company has moved on to search for oil at the Sorubim-1 well approximately 83 nautical miles offshore. The small country of Guyana, with just over 770,000 people, will begin to receive much needed revenue from day one of oil production, set to get underway by March 2020. The 120,000 bpd Liza Phase 1 development will initially generate around one million US dollars daily and approximately US$7B over the lifetime of the project. Multiple developments are also being planned with projections exceeding 500,000 bpd total production for the nation by the late 2020s. The windfall will multiply the country’s GDP and has potential to bring about dramatic transformations for its people.